Fantino is one of the most famous Mediterranian Restaurants among visitors; the earthy, rich-in-flavour ingredients of the Mediterranean Coast are masterfully presented with a contemporary touch. The praised menu features exhilarating food, such as: Agnolotti stuffed with handcrafted Ricotta and presented with local heirloom carrots, Maine Lobster Lasagna with a fresh bean ragout finished with brandy cream, and Short Rib with squash Gnocchi and violet mustard- that adds allure to the tantalizing gourmet-affair. You can also order the Tasting Menu with wine pairing that features their famous Pistachio Crusted Sea Bass in Tomato Sauce. The Tasting Menu is ideal for those wanting to truly experience Fantino. 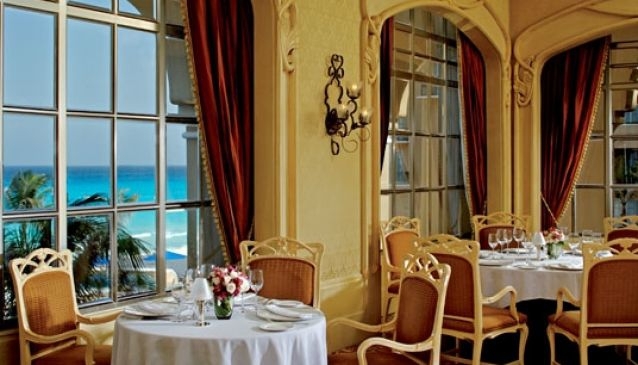 Fantino's interiors combine man-made frescos with floor-to-ceiling windows, creating a very romantic atmosphere. The reception is small and intimate and it opens up to a bright main dining room. If you are on with a big group make sure you make a reservation, Fantino provides private rooms for large groups.